The Original HU66 Turbo Pick and Decoder is a high-precision tool specifically designed to help you open VAG 2nd/3rd generation door and ignition lock in a few minutes. After opening the lock, you will be able to decode it, read the key combination and cut a key that will open and close the door locks and turn the ignition. 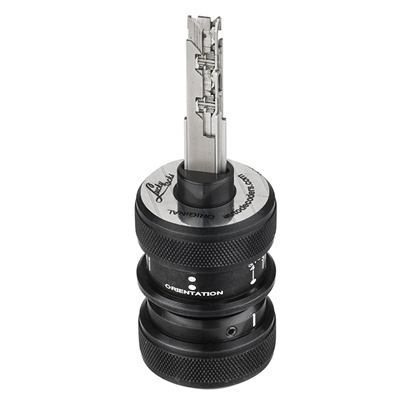 Ultra-reliable, it is the perfect solution for discerning locksmiths and auto locksmiths who love precision and no compromises in their car opening tools. Now with new manufacturing processes, fine modifications and superior components, you will enjoy increased precision and durability. Open and decode door and ignition locks. Key profile: HU66 2nd/3rd generation. It includes a tester key to show you which lock type is installed and how you should insert the Turbo Decoder into the lock.